Get creative with our last two classes of 2018! Take a break from the holiday rush and get creative with us! Learn something new and fun, and finish the year with a burst of creativity. What about getting your hands on some soft pillowy fibre and building it into three dimensional objects? Or building your own loom and creating a beautiful weaving for you or someone you love? Our last two classes of 2018 could be just what you need! See below for details. 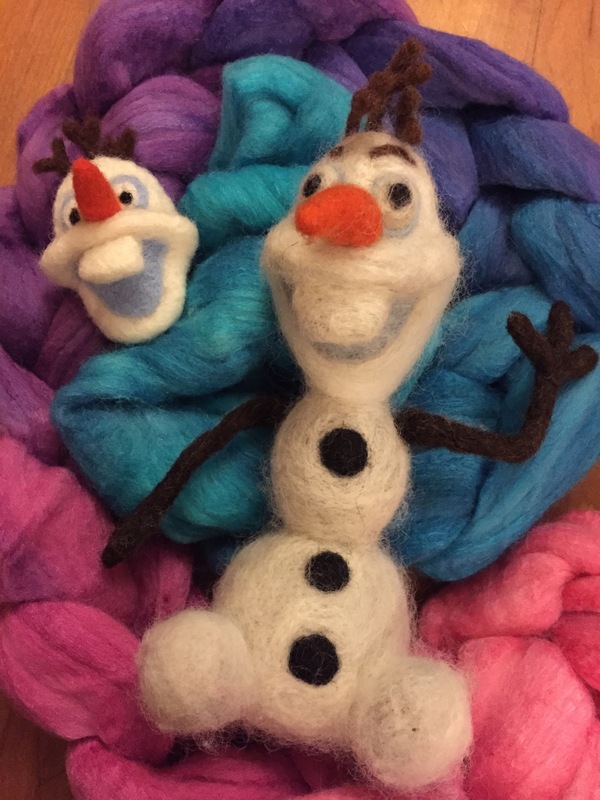 BEYOND BASICS NEEDLE FELTING: Do You Wanna Build A Snowman? Materials INCLUDED: Includes a mixture of Corriedale wool for project, felting needle and felting foam block. Felting needle(s), a mixture of Corriedale wool, foam blocks and wire. Minimum 3 and max 8 participants. For ages 8 and up. Here’s a one day workshop that will open up a world of creativity and leave you with gift of art for the holidays. Join local fibre artist Serah Hedin in a 4 hour class where you will learn various hands-on weaving techniques on a portable frame loom which you get to keep. Minimum 4 participants; maximum 8.